Car tuning and ECU remapping is sometimes carried out as a standalone tuning activity, but often ECU remapping is used in combination with other tuning products and services, such as performance exhaust systems, turbo upgrades, intercoolers, etc. Tuning of this nature can either be an 'all in one go' fitting and installation activity, or it can be a journey of car tuning parts and accessories, building into a finished car tuning project delivered over many weeks or months. Whatever your tuning and car performance goals, we are here to help and assist. 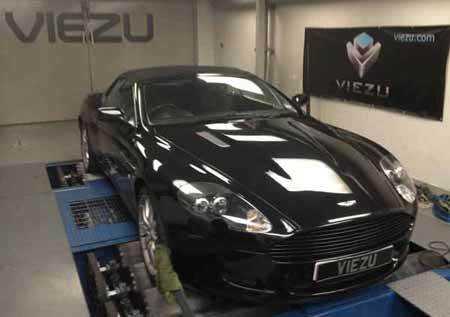 All of the Viezu car tuning software is written in-house, and so because of the very nature of our custom tuning and remapping we can not only tailor the tuning to account for your tuning parts and car modifications, we can supply and fit them too. 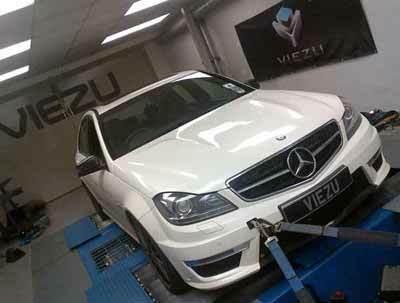 After the fitting of your chosen high performance parts and tuning items, Viezu can then perform a custom remap to ensure all of the performance parts are working in harmony and to greatest effect with your engine tuning software and remap. 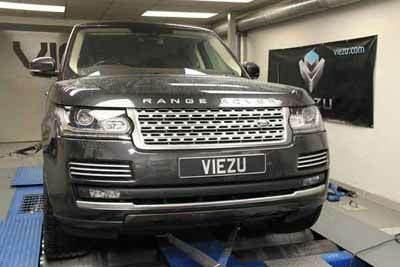 This tuning can of course be carried out on the Viezu rolling road so you get to see all the results first hand. 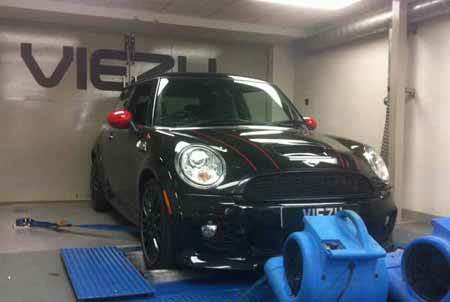 Viezu specialises in quality car tuning, performance parts and vehicle conversions. All tuning work is carried out with a deep respect for the original vehicle, reliability and customer requirements. Huge power is useless if your vehicle becomes unreliable, the new wheels rub on your wheel arches, or the new shiny exhaust hits every speed bump. Just because it can be bolted on does not always mean it should be! At Viezu our tuning and performance upgrades are about improving your vehicle's performance, looks and sound, giving a unique, custom feel and performance drive without sacrificing reliability or your vehicle's value. 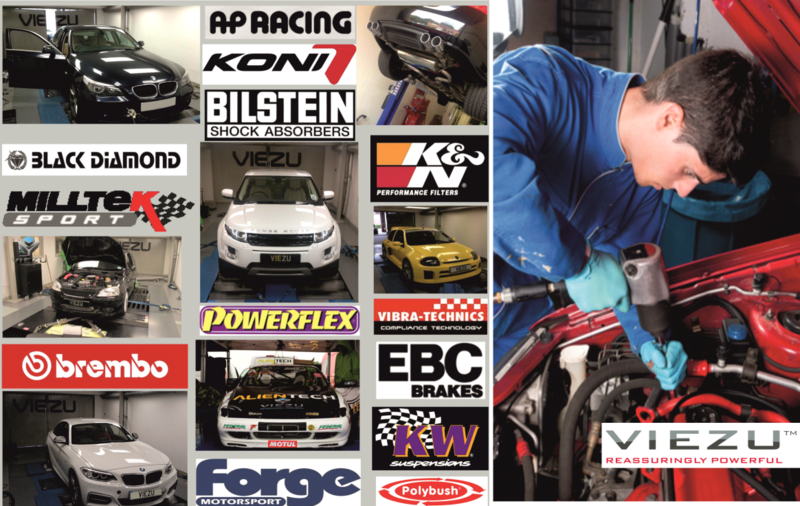 At Viezu we are listed and approved suppliers and fitters of the world's leading high performance exhaust manufacturers including, Akrapovic, Milltek, IPE, Quick Silver and many more. 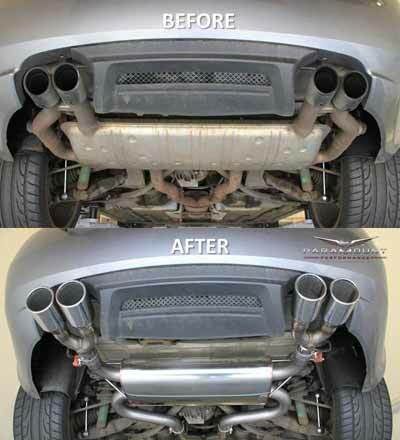 We also commission and hand build our own exhaust system where customer's needs or vehicles may require. 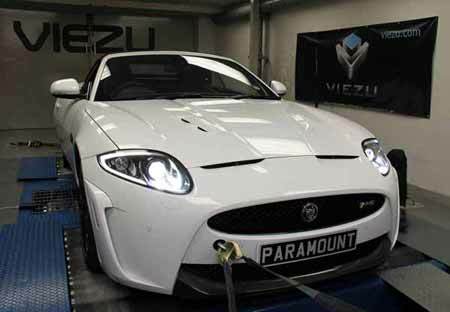 Our exhaust system range is second to none, and includes extensive exhaust system ranges for our specialist vehicles, including Jaguar exhausts, Range Rover exhaust systems, Aston Martin, Ferrari and many more. A huge range of performance exhaust systems are available, if you dont see what you are looking for in our shop please do give us a call. Available for many vehicles with superchargers, Viezu can supply a range of supercharger pulley upgrades, in some cases a larger supercharger engine crank pulley, and in other cases a smaller supercharger pulley. The end result is the same - more supercharger boost pressure - resulting in higher performance, throttle response and midrange power. Supercharger conversion and supercharger pulley upgrades, parts supply only and fitting service available. Air induction and air filter upgrades are often over looked, but a good air filter giving sufficient air flow into your engine is essential to bring your tuning to life. Many of the great range of high performance air filters and induction systems come with a life time guarantee, so in fact as well as increasing performance, a good air induction or air filter upgrade can be an investment. On offer, an extensive range of big brake kits and brake upgrades, from the full works AP Racing brake conversions kits, large brake disc and brake calliper kits, to more simple OE manufacturer fit brake kits, upgraded discs, and performance brake pads and brake line kits. Drop us an e-mail with your big brake conversion requirements and we will cover the options for you. 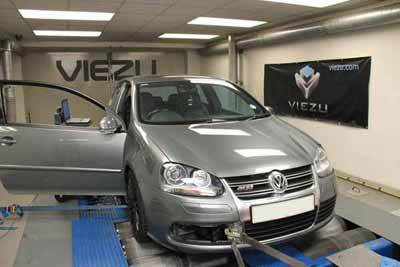 Viezu offers bespoke tuning, and a very significant range of car performance parts and tuning services - you are free to build your own tuning package and list of car performance parts. Here are some of our more popular combinations and modification upgrades, most of which can be shipped mail order, or supplied and fitted in just one day. 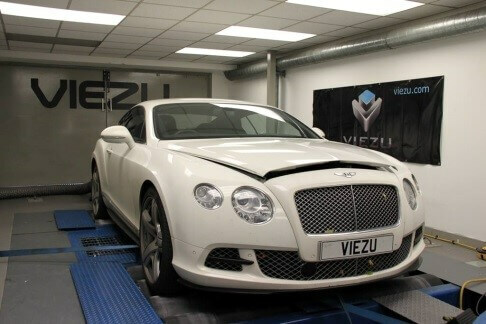 Viezu can also offer finance for your tuning upgrades and projects, you can spread the cost of your Viezu upgrades and performance parts over 12 or 24 months with low rate monthly finance plan. If you are considering some upgrades, but dont want the upfront costs, ask your Viezu consultant about finance options available.